During the summer season, many people are aiming for a beautiful tan to protect their skin, enrich melanin, and sustain a healthy glow complexion. Some might have considered trying several tricks and techniques but fail to do it in a safe and fast way. 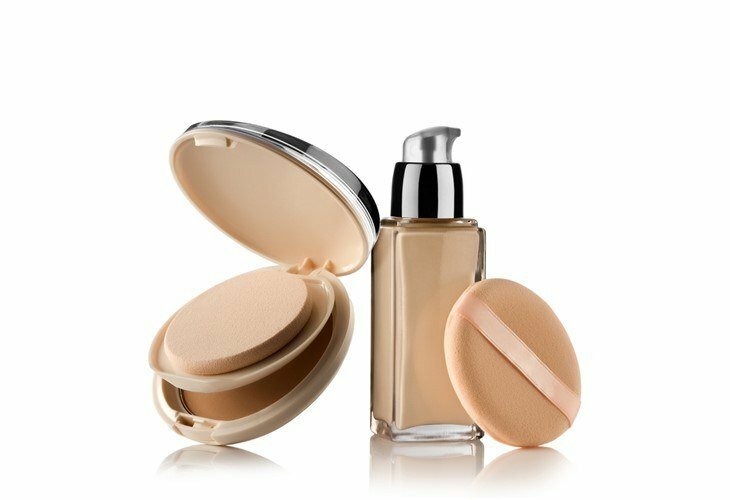 It’s really risky to gamble your skin to bronzer products especially for newbies and individuals with pale-to-fair skin types. It’s amazing to know that the skin product manufacturers have innovated tan towels for easier and efficient cosmetic tan solution. Moreover, you don’t need to stay all day underneath the prickly heat of the sun to get the perfect tan shade. 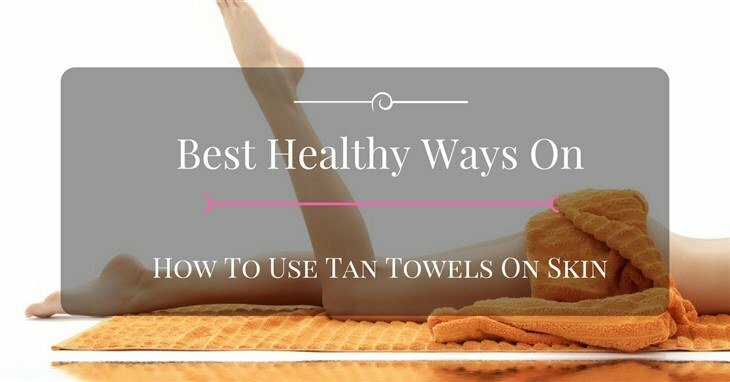 However, you should know how to use tan towels appropriately so that your tanning procedures will take effect in a lesser time, reliable, and resourceful way. Keep in mind all of the steps enumerated below to acquire the best tan of yours and be proud of your new lasting color. Say goodbye to the heat of the sunlight and check out this remarkable touch of tan towels. Get That Stunning Bronze Glow? Start your prior application with these mindful ideas and tips to carry out the tanning procedure in an effective and reliable way. These preparations will help your skin warm up and get ready to feel the tan towel resting on your skin. It’s vital to have a neat and refreshing skin before you proceed with the tanning because it will prevent the unwanted dirt, bacteria, and germs to clog on your skin pores thus, it might result to acnes, irritations, and inflammations. Take a mild anti-septic soap, rub it all over your skin, and have a relaxing shower bath to clean your entire body to achieve a perfect refreshing and soothing sensation. It would also help in hydrating the outer layer of your skin and promote a healthy supple complexion. Actually, this is an optional approach. Some women love to have a smooth complexion along with their tan so that their skin would still look flawless in bronze beauty. Try to scrub your skin during the bath time with an exfoliating cream, body wash or rub it using a loofah to remove the excess dead skin cells hence, it will provide a silky soft and delicate complexion. You might also use home-based care solutions as alternatives for an exfoliating agent such as sugar, salt, or baking soda. Make sure to rinse off any creams, oils, or scrub beads on your skin to achieve a gorgeous ready-to-tan skin. As a rule of the thumb says, always take at least 8 glasses of water regularly to hydrate your body and an inner layer of your skin as well as helps in renewing your skin tissues and cells. This is typically the youth secret formula in keeping your skin healthy especially while taking the time to tan your skin. Tanning might lead to dryness of your skin so it’s really a must to drink water and maintain the suppleness, firmness, and moisture of your skin by drinking lots of liquid hence, quenching a refreshing glass of water. Make sure to cover the sensitive areas of your skin so that these bodily portions will not get burned or tinted with the tan. Take for instance, if you don’t want to get your palms, eyes, lips, and other intimate body areas to be applied with tan towels, therefore, you should be alert in keeping these areas covered and protected. When wiping the tan towel, first start on the larger portions of your body namely chest, back, tummy, arms, going down to your thighs, legs, and all the way to the feet. Make sure to evenly scatter the tan so that you will have a beautiful full tan skin tone. As much as possible, apply the tan towel in a circular motion so that it will penetrate to the layers of the skin and you will achieve the favorable cosmetic tan that you desire. Take around 30 seconds to 1 minute in applying the tan towel on your skin in order to have effective changes in your complexion. Some of your body areas are prone to dryness especially when applied with any cosmetics, creams, oils, or ointments. To know more about these areas, you have to check your elbows, knees, and lips. Make sure to put moisturizing creams or lotions after the tan towel procedures to these affected dry-prone areas while balm for the lips. Assure that the skin was covered evenly with the tan towel. There’s no harm in double coating your skin with the tan towel thus, it actually provides a reliable and effective tanning solution to your skin. To repeat, make sure to do the circular motion method in applying the tan so that it will perfectly penetrate to the layers of your skin. You’ll get the absolute tan color that you love once you’ve followed these amazing procedures. Take every detail seriously and you will definitely achieve the best bronze hue. Just make sure to keep it dry after applying so that it will never stain your clothing.You may also test it first to a cloth whether it causes any stains. Find a tan towel that does not contain an after-effect color to your outfit so that even if you sweat, it will not cause any blotch on your clothing. Typically, the tan towel can last for about 4 to 7 days depending on your caution and reapplication. You can actually reapply once you feel it necessary or you may let it naturally fades. If you wish to relinquish your tan, you may try it at least once to twice a week for a longer effect. By following the needed preparations and tanning steps, you can able to have a beautiful cosmetic tan towel inspired bronze skin. To recall, when preparing for the tanning procedures, you have to first meet these following: (1) Keep your skin dry, fresh, and clean, (2) Exfoliate to remove dead skin cells, (3) drink water regularly, and (4) cover the sensitive areas when performing the tan. Afterwards, you may now proceed with the tan towel steps itself namely (1) start by wiping at the mid-section part, (2) make sure to penetrate the tan evenly, (3) moisturize your dry spots, (4) check your skin color if it’s fully tanned, and (5) you’ll get the best tanning glow at an instant! Dare yourself now to a new you!